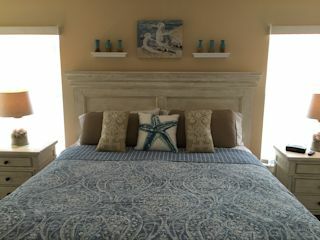 Enjoy your sunny Florida vacation in this beach themed "House of Beachy Bluez". A four bedroom, three bathroom luxury rental house. 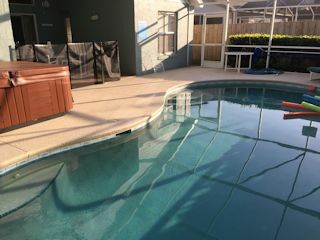 It offers an EXTRA large privacy fenced rear yard with private pool and a free standing hot tub, located just three miles from Disney World, in Kissimmee Florida. 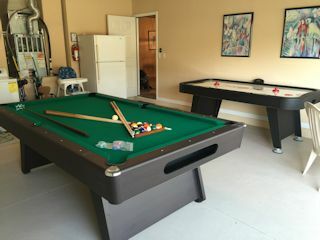 FREE high speed WIFI PLUS a games room with an electronic hockey game and a standard size pool table. 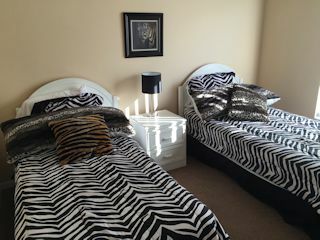 2 master bedrooms: One with a king sized bed and the other with a queen sized beth, both with private baths. Two twin bedrooms that share a bath. This home is PET FRIENDLY with a great fenced-in yard and very private location. This home has everything you need. So close to Disney that you can see the fireworks from the driveway! 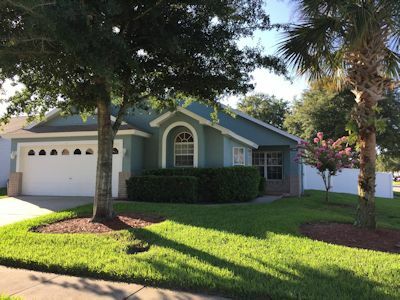 Minutes from Disney World, Universal Studios, and Sea World. 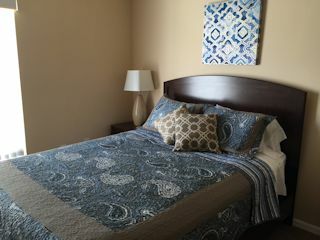 The main areas have ceramic tile and the bedrooms are carpeted. 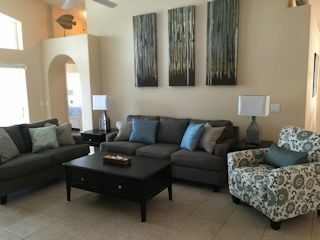 The home has central air, heating and ceiling fans in every room. 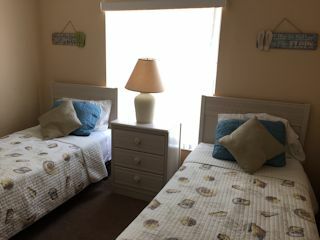 A larger flat screen TV in the living room with a DVD player and 200+ channels of cable, and smaller flat screens in every bedroom (also have cable and a portable DVD player in the main master). 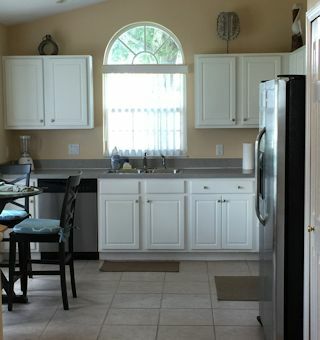 Fully equipped kitchen with stainless steel appliances, with a washer and dryer in the garage / games room. We even supply the dishwasher soap and laundry soap. 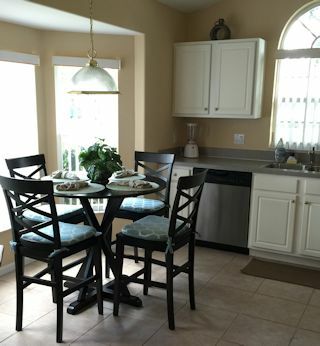 Seating for 10 between the kitchen dinette and the dining room. The home is spacious enough for 2 families with 2 master bedrooms ensuite and 2 twin bedrooms (2 twins each). Plus a queen size sofa sleeper for 2 extra people. Sleeps 8-10. We supply a high chair, 2 strollers and a portable crib for infants. 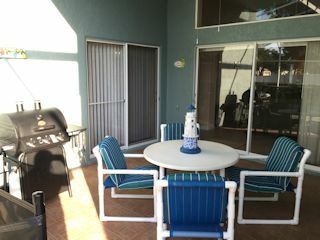 There is a gas grill in the lanai for your use and a hammock in the back yard under one of the big shade trees for taking a nap!